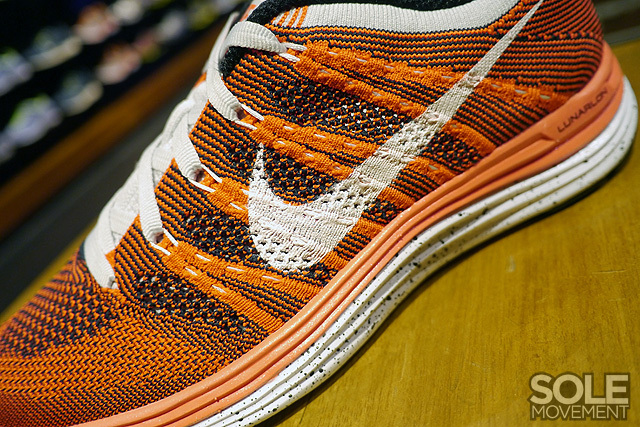 The ladies are treated to yet another high visibility colorway of the Flyknit Lunar1+ by Nike. 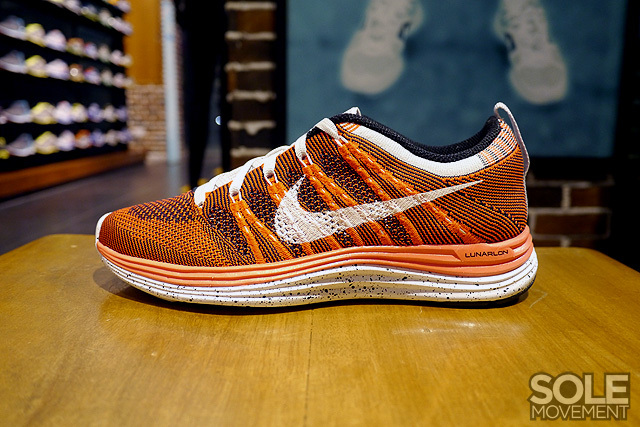 Sure to never go unnoticed, this latest women's exclusive Flyknit Lunar sports an eyecatching orange hue over their innovative Flyknit upper. 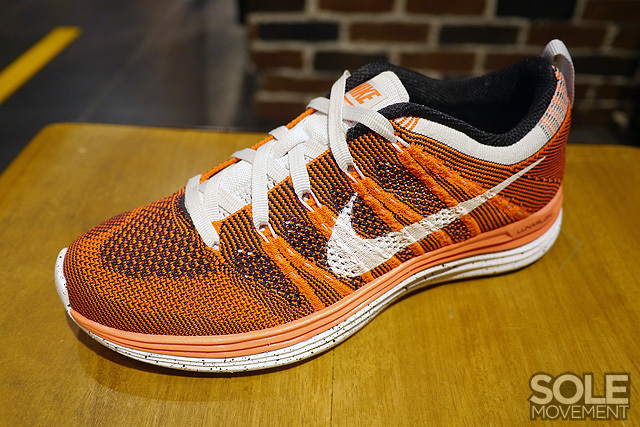 The bright look is contrasted with white Swoosh logos and laces, matching the Nike+ equipped Lunarlon tooling. 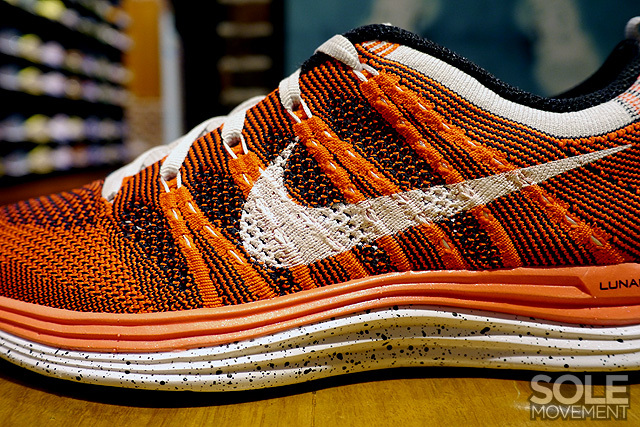 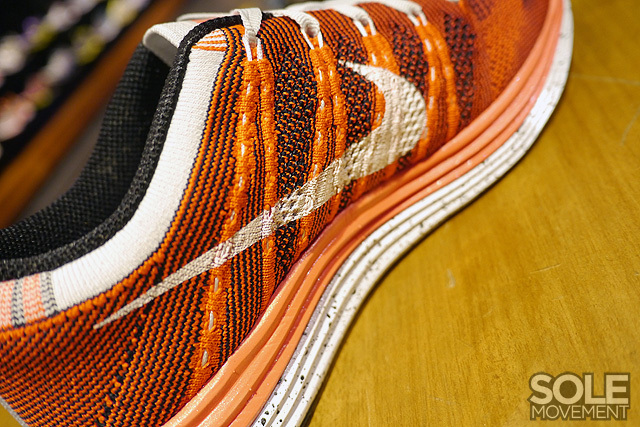 The Orange/White-Black Nike WMNS Flyknit Lunar1+ is expected to hit Nike Running retailers soon.